THIS IS NOT OFFICIAL PAGE OF Longtech Machinery Industry Co., Ltd.
Pressure package includes, blower, electric motor, basic belt guard, suction silencer, relief valve, gauge, check valve, discharge silencer and flexible joint. Three lobes Roots Blowers are a new series of Roots type blowers. Roots blowers are positive displacement pumps that are one of the most efficient types of pumps in their performance range. Roots blowers run dry as the oil is contained in the bearing/gearbox housing and sealed from the process air. The three lobe technology reduces noise by as much 5dBa, this also lowers vibrations and increases the life of the bearings. 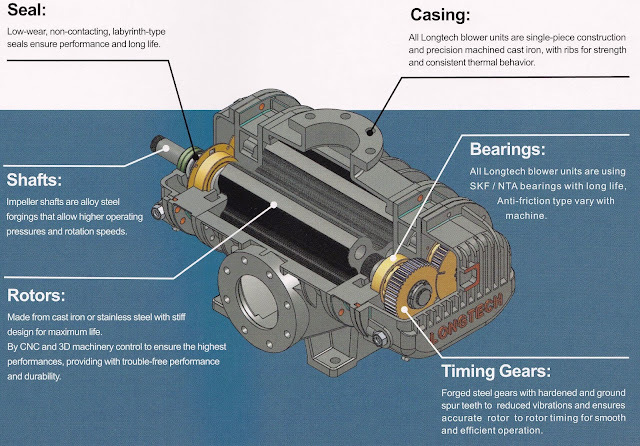 The Longtech blowers are CNC machined to precision tolerances, promoting air performance and efficiency. 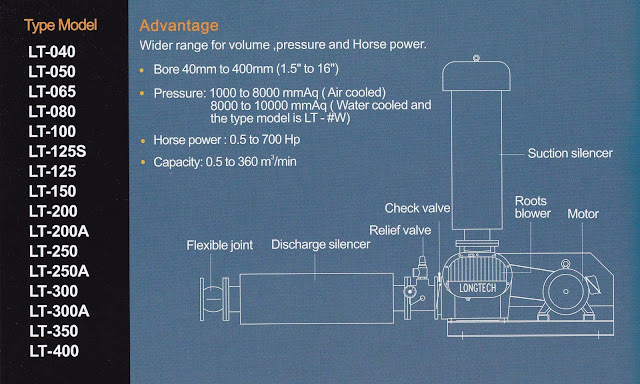 The blower range can handle from -500mbar to +800mbar with flow rates from 30m3/hr to 21,750m3/hr. 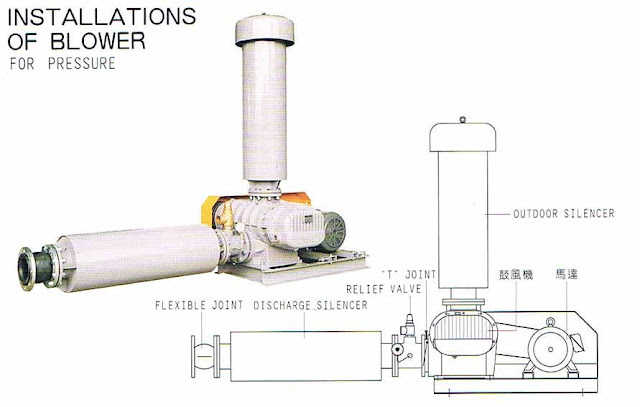 The blowers are available as just the blower or as a blower package through to a full blower enclosure. Optional VSDs can be supplied also be provided. Bearing : All Longtech blower units are using SKF/ NTA bearing with long liife. Anti friction type vary with machine. Rotors : Made from cast iron or stainless steel with stiff design for maximum life. By CNC and 3D machinery control to ensure the highest performance, providing with trouble-free performance and durability. 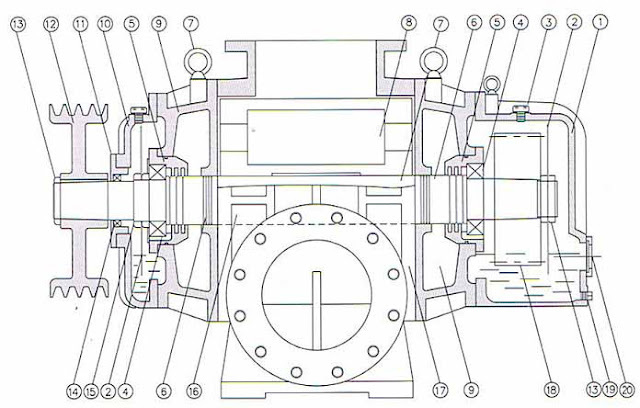 Shaft : Impeller shafts are alloy steel forging that allow higher operating pressure and rotation speeds. Timing Gears : Forged steel gears with hardened and ground spur teeth to reduced vibrations and ensures accurate rotor to rotor timing for smooth adn efficient operation. Casing : All Longtech blower unit are single-piece construction and precision machined cast iron, with ribs for strength and consistent thermal behaviour. 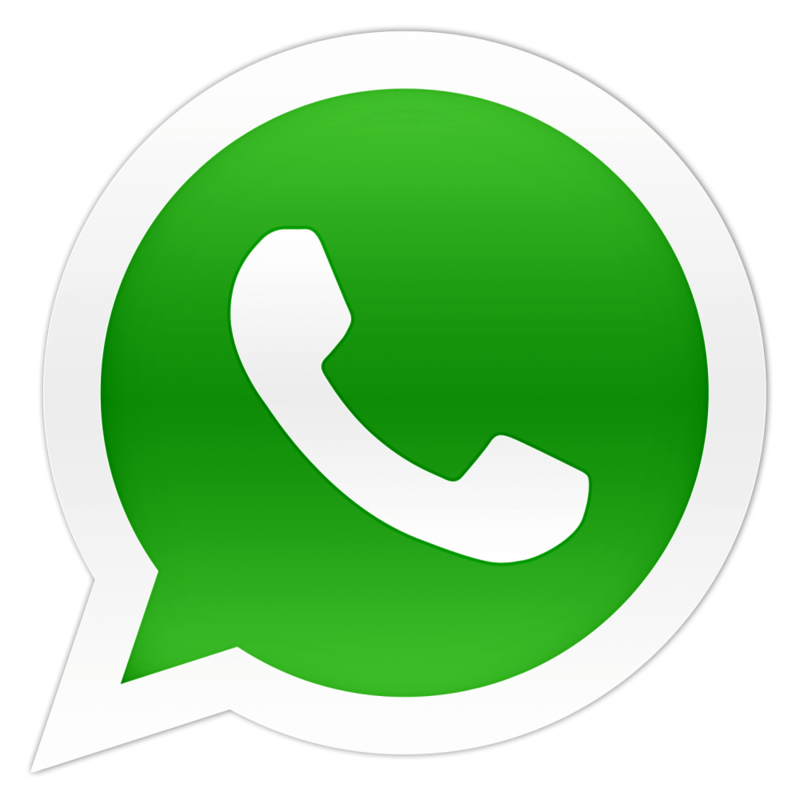 Strict management of quality standards. Technical customization (size, pressure, design, pump accessories). Assembled using state-of-the-art CNC machinery enabling precise measurements and grinding needed for more efficient pumping. 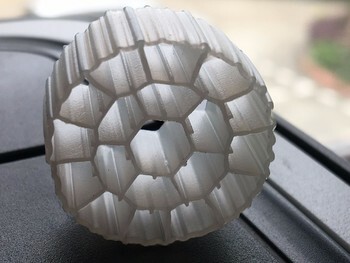 Fewer vibrations transmitted through the lobe, for longer-lasting shafts, gears and bearings. Three-lobe design controls any backflow pressure towards rotor. Lubricated with high grade oil, proven to be a much better alternative to grease. Significant improvement in air performance ratios: wider air, pressure and vacuum range, more stable flow, fewer pressure variations. Much quieter: our new design can effectively reduce noise by approximately 5 dB. 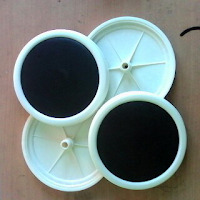 All our products can be used for OEM.